Just like women, men can choose from a wide range of winter hats, that is, when the temperature drops down beyond the knitted hat. One type of men’s winter hat that is gaining popularity today and you would surely want to own is the leather aviator trapper hat. This is also called fur hat with ear flaps or the fur trapper hat. This leather trapper hat looks similar to the caps worn by German and Russian bombers and also by the USAAF pilots during the war years. This is where it got its name “Aviator hat”. One distinguishing feature of the aviator hat is the 2 large ear flaps that you can hang down over your ears for warmth or tie under your chin. Its outer shell is made from genuine leather that gives the hat a vintage look; the inside is a quilted liner. Leather aviator trapper hats are usually made of warmer materials than those used for summer hats – leather, rabbit fur, coyote fur and sheepskin. 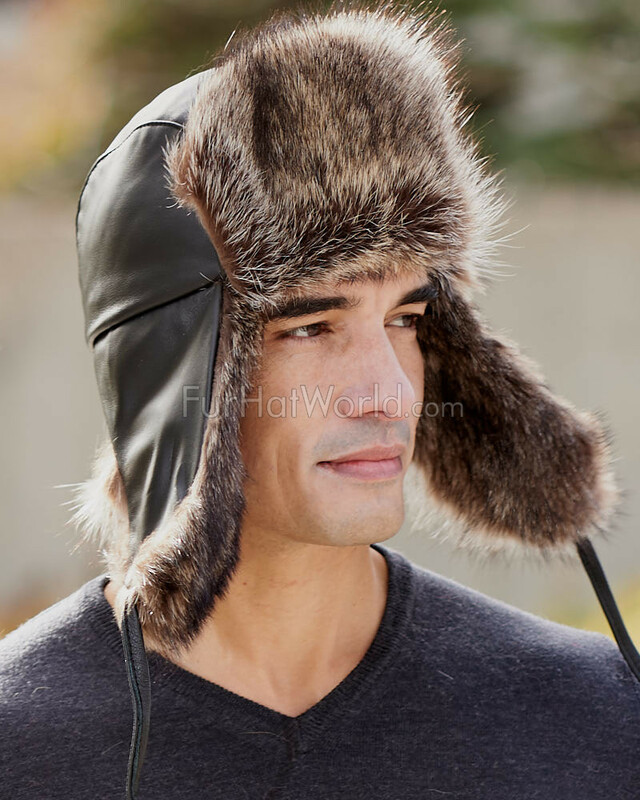 These aviator trapper hats are ideal head gear for winter. Men who wish to beat the winter chill in style go for aviator trapper hats, as this hat is meant to serve two purposes – keeping warm while staying fashionable during the winter months. You can wear the leather aviator trapper hats when you go open cockpit flying, snowboarding, or skiing. Ear flap trapper hats are also seen being worn by famous people on the runways and in many other places. These unique and fashionable fashion accessories have been around for years and are increasing in popularity these days. An ear flap trapper hat is something great to own during the cold weather. It will give you comfort as well as style, and will enable you to achieve the look you want. These hats also look great with lots of other winter apparel.